Graduate Studies; San Diego St.
Marra comes to GHC from New York State, where he taught physical education for 22 years and coached for 12 in a high-school environment. Most recently, he coached baseball at Sullivan County Community College in New York, where he resurrected the college's baseball program, which had not fielded a team since 1986. In creating that program he outlined a three-year plan for success. In the program's second year the college's team reached the National Junior College Athletic Association Region XV Final Four, then won the NJCAA Region XV championship the following year. Marra also served as assistant director of athletics and as an adjunct instructor in the physical education department at Sullivan County Community College. While coaching high-school teams, Marra was named the 2004 American Baseball Coaches Association Region I High-School Baseball Coach of the Year. He was named coach of the year three times by the Kingston Daily Freeman and once by the Times Herald Middletown Record. He was also recognized by his peers as the as the American Baseball Coaches Association NJCAA Region XV Baseball Coach of the Year in 2008. Marra holds a Master of Education from the State University of New York at Cortland and a Bachelor of Science in physical education from SUNY Brockport. 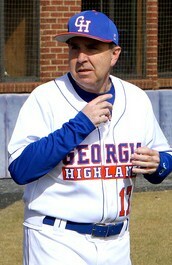 Before making the jump to Georgia Highlands College, Suarez, a native of Monticello, NY, joined head coach Mike Marra as an associate head coach at Monticello High School for the 2008-2012 seasons. While at Monticello, Suarez handled the infielders and assisted in hitting and coaching third base, helping the Panthers to Sectional berth in 2010. Suarez's responsibilities at Georgia Highlands will include coaching third base, working with the middle infielders and serving as Future Chargers Baseball Camp Director. Additionally, Suarez helped the Chargers recruit their first ever recruiting class. Suarez began his playing career at Monticello (NY) HS where he started for three seasons as SS/RHP. He spent two seasons at Orange Co. CC (NY). Suarez played with the Sullivan Spartans of the CBL and eventually signed a pro contract with the Montreal Expos in 2004 and played for the Expos Class A team in the Apple Valley League (MN). "Gil and I worked together for four years during our time at Monticello (NY), so I know firsthand what a tremendous person and baseball coach he is," Marra said. "Gil shares the vision I have for this program and he will work relentlessly to help us achieve the goals we have for the future of Charger Baseball." Tim is a lifelong resident of Sullivan County, NY and a graduate of Monticello High School. He obtained his Jurist Doctor from Hofstra Law School in 1988 and since has practiced law in Monticello. Havas has coached youth baseball for the past 25 years having participated with the Monticello Little League, Collegiate Baseball League, Hudson Valley Wood Bat League and Middletown Babe Ruth. 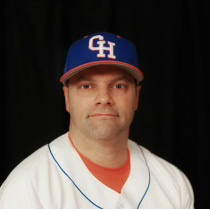 Havas spent the past five seasons on GHC's head coach, Mike Marra's coaching staff at Monticello HS. 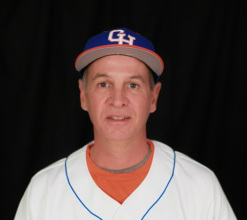 As the Special Assistant to the Head Coach, Havas will handle Northeast area recruiting for GHC. 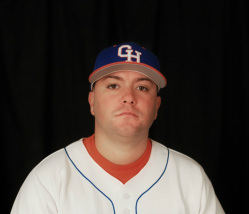 He will also head up GHC baseball summer camps in New York. Baker has been a part of baseball in Cobb County for over 15 years developing and preparing players for the next level. For the last 6 years Ray has directed the Georgia Fierce 18u travel team with multiple players reaching the college level. Ray is a native of Portsmouth, Va where he played high school baseball. He advanced his playing career as a member of Campbell University in Buies Creek, NC. He served one year as an associate in the Player Development program with the Montreal Expos. Baker holds a BA Degree in Communications Management from Campbell University. His professional career he has worked in sponsorship and advertising associated with Major League Baseball, NCAA College World Series, BCS Bowl Games and Final Four. Ray has resided in Kennesaw, Ga for the last 25 years. Has a son attending Georgia Southern University.